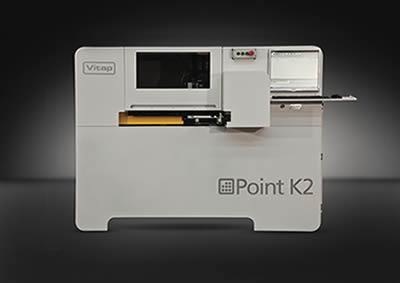 LAS VEGAS - The Vitap Point K2 TOP CNC has been selected as one of 27 finalists in the 2017 AWFS Visionary Awards which recognize creativity and innovation, as well as leadership in green/environmental product development. These awards are an industry achievement for excellence and for innovative and forward-thinking technology on new-to-market products. The Vitap Point K2 TOP is a compact CNC work center that can optimize panel cutting, drill holes in 5 directions and perform grooving operations, square and rout operations, and rout and cut shaped parts. These processes can be achieved without the need to reset the parts hold-down systems, resulting in zero set up time. Compatible with Vitap's patented software for bar nesting, the Point K2 TOP allows the operator to insert a panel of unlimited length (X axis) which then automatically cuts the panel into precise, pre-programmed sections widthwise (Y axis). After each section is cut, the Point K2 TOP can drill that section’s 4 sides and groove, rout, and drill the face of the piece before releasing it to the operator, making it ready to be assembled into a finished product. Especially designed for custom furniture manufacturers and for flexible high production, the Point K2 TOP can be ideal for small- to medium-size companies with limited budget and availability of manufacturing and stocking space, few employees, and issues with the handling of large panels. Final judging will take place the day before AWFS 2017 opens where contenders will perform live demonstrations for the panel of judges, who then make their final decisions based on quality, production impact, practicality, innovation, and user-friendliness. 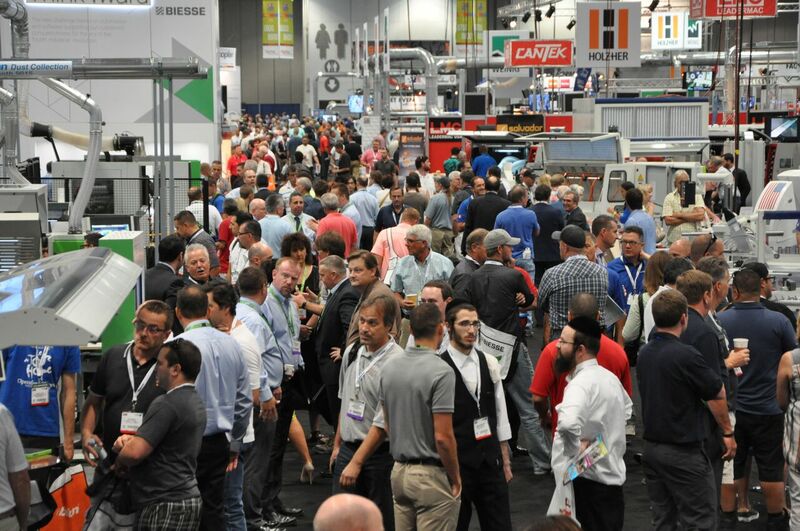 AWFS attendees will be able to see the Vitap Point K2 TOP along with the other products nominated in the new product showcase located on the show floor. The 10 winners will be announced at a special awards presentation on Friday, July 21 at 9:15 a.m.
More information about the Point K2 TOP can be found through Vitap’s exclusive importer and distributor in North America, Atlantic Machinery Corporation. More information about VITAP products can be found here.